DETROIT -- General Motors Co. today posted a fourth-quarter net profit that was its smallest of 2010, exposing profit drags that are likely to linger this year. GM's fourth quarter net income of $510 million, while a sharp swing from a $3.52 billion loss a year earlier, was less than half the profit GM hit in the two previous quarters and well below the first quarter's $865 million. Higher materials and vehicle-launch costs, lower prices and a shift away from pickups and SUVs and toward lower-margin small cars pinched profits. Still, GM's net profit for 2010 was $4.67 billion -- its first full-year profit since 2004 and a striking comeback after its U.S. government-backed bankruptcy in 2009. GM lost $23.5 billion in 2009. "I'm not sure anyone a year ago would have predicted that GM would deliver net income of $4.7 billion," GM CEO Dan Akerson told analysts and reporters on a conference call. "In summary: good start, a lot more work to do," he said. The fourth-quarter net profit included about $400 million in special charges, including losses related to the purchase of preferred shares from the U.S. government during GM's November initial public stock offering. Revenue for 2010 rose 30 percent to $135.59 billion. In the fourth quarter, revenue rose 17 percent to $36.9 billion. An industrywide sales rebound is expected to lift GM's revenue this year, but a less-profitable sales mix could impede profit growth as smaller cars become a bigger part of its product portfolio. GM is launching the Chevrolet Sonic subcompact and Buick Verano compact this year, joining the Chevy Cruze compact, introduced last fall. Prices also could come under pressure as GM hits a relative lull in its product cycle. Credit Suisse analyst Christopher Ceraso predicts that just 12 percent of GM's projected U.S. sales this year will come from new, redesigned or freshened models. That's tied with Nissan Motor Co. for the industry's lowest. In a research note, Standard & Poor's analyst Efraim Levy wrote, "The company should be able to leverage higher sales volume into faster net income growth, despite an unfavorable mix shift to smaller vehicles and the impact of rising commodity prices." GM's European Opel division, while still a drag on GM's bottom line, has shown improvement. It lost $568 million in the fourth quarter, before interest and taxes, better than a $799 million loss in the fourth quarter of 2009. The loss came despite a 22 percent rise in production volume, to 313,000 units. For the year, GM lost $1.76 billion in Europe. GM CFO Chris Liddell said GM expects Europe to break even this year, not counting costs associated with an ongoing restructuring. GM's North American unit posted a profit before interest and taxes of $813 million in the fourth quarter, after losing $3.44 billion in the same period a year earlier. For the year, GM reaped profits of $5.75 billion in North America. Based on its 2010 results, GM said it would dole out more than $200 million in bonuses to U.S. hourly workers, including profit-sharing payouts of about $4,300 for each of its 45,000 workers represented by the UAW. About 3,000 eligible GM Components Holdings employees will each receive $2,300 in profit-sharing checks, the automaker said. GM's other regional operations saw their profits erode from year-earlier levels. In the fourth quarter, GM International Operations, which include its Chinese, Russian and Indian units, posted a profit before interest and taxes of $334 million, down from $428 million. GM South America posted a profit before interest and taxes of $195 million, down from $291 million. General Motors Financial Co. contributed before-tax profits of $129 million in the quarter. Last fall, GM paid $3.5 billion for AmeriCredit Corp., then renamed it GM Financial. Higher prices and a reduction in profit-eroding incentives aided GM's big turnaround last year. In the fourth quarter, GM's incentive retail spending on its four core brands in the United States averaged $3,100 per vehicle, down about $800 from a year earlier, Liddell said, citing data from J.D. Power and Associates. As a percentage of the average transaction price, incentive spending fell to 10 percent in the fourth quarter from 12 percent a year earlier. Liddell said 10percent is in line with the industry average. Liddell downplayed an uptick in incentive spending in January that prompted industry speculation that GM was stoking a price war. GM's incentive spending in January, as a percentage of average transaction price, jumped to 13 percent, or 26 percent higher than the industry average that month. "How are you avoiding the risk of getting dealers and customers used to the discounting?" Deutsche Bank analyst Rod Lache asked GM executives during the conference call. Liddell replied that GM is not abandoning its pricing discipline and aims to keep incentive spending around the industry average as a percentage of average transaction price. But the spiffs are likely to be applied unevenly. For example, GM took market share by boosting incentives in January and February, traditionally slow months, Liddell said. "We might have targeted programs in one month, back away other months, in order to get to that average position," Liddell said. GM had warned analysts that its fourth-quarter earnings would be held down as it ramped up product-development and incurred expenses associated with key product launches such as the Chevrolet Cruze compact sedan and the Chevy Volt plug-in hybrid. 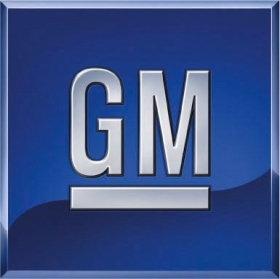 Liddell said GM spent an extra $400 million on marketing in the fourth quarter, compared with the third quarter. Last month Ford Motor Co. and Chrysler Group also posted fourth-quarter results that were their weakest quarters of 2010. Both cited higher product-launch costs. GM generated about $23.1 billion from its November IPO that reduced the U.S. government's 61 percent stake to about 33 percent. For GM to keep the U.S. Treasury from losing on its $52 billion bailout, the remaining 33 percent U.S. government stake in the company would have to be sold at about $53 a share. GM shares closed today at $33.02, down $1.57 or 4.5 percent on the New York Stock Exchange. GM shares were priced at $33 when it launched the IPO. The U.S. auto sector is still widely seen as being in the early stages of a recovery from its near-collapse in 2008 and 2009. But in recent weeks investors also have been concerned about the pressure on profit margins from rising commodity prices, higher costs for launching new vehicles, and the risk of a sustained spike in oil prices.